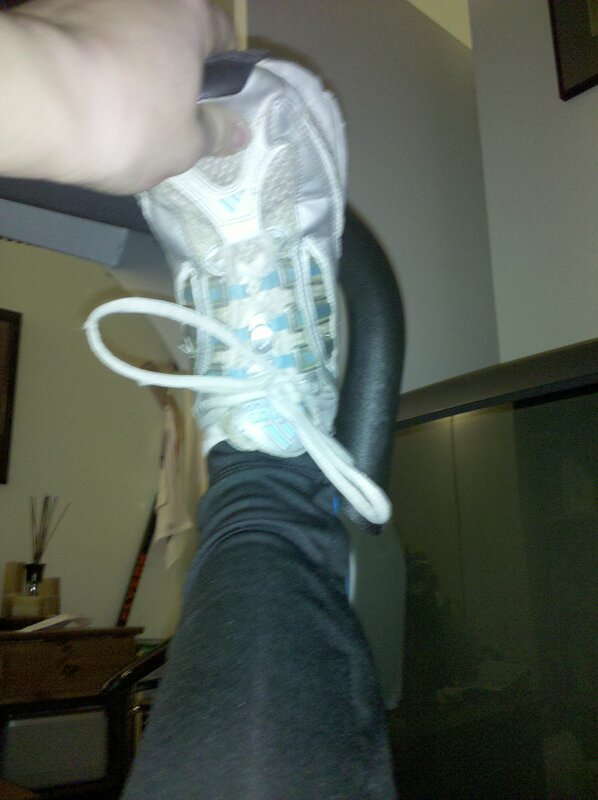 …but while coming up with AMAZING uses for my treadmill. Holy stretches! 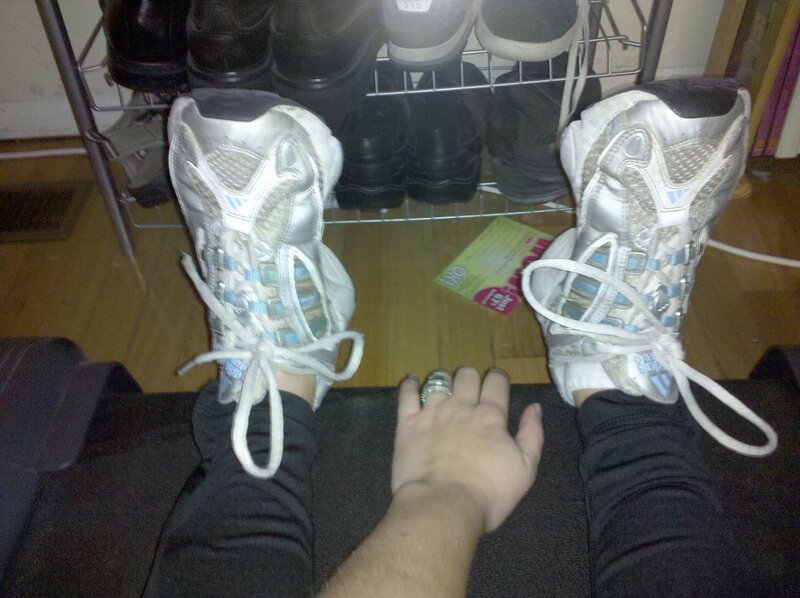 OK, first thing’s first, gotta stretch those hammies! 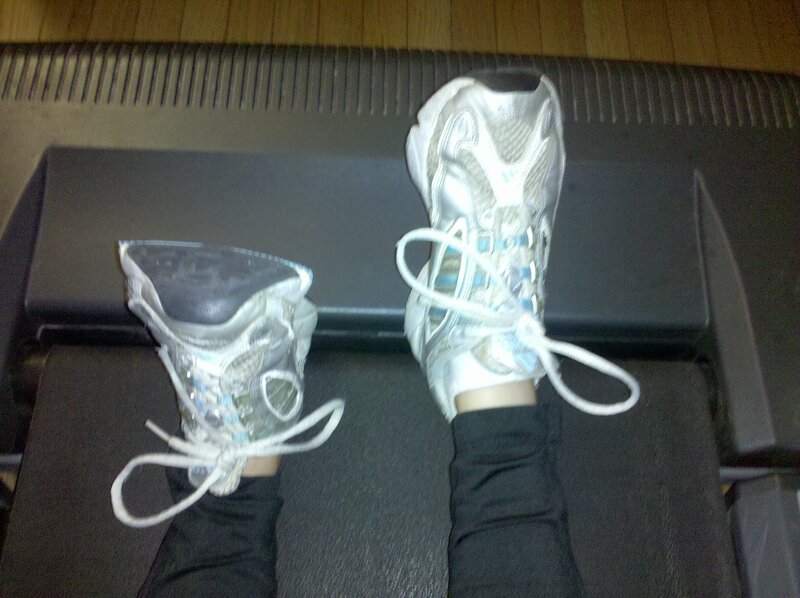 Then, move on to your calves with alternate calf presses against the TM belt! Anyway, considering we got this treadmill for FREE, it has totally paid off! Story behind that is the company that we bought the TM from shipped it to us and whoever was in charge of delivery stupidly decided to leave the damn trillion pound thing ON OUR STEPS! Guys, we live in the Center of PHILADELPHIA! You can’t leave a stinkin treadmill in a box on someone’s front steps. Duh. Well, the company agreed with me and actually COMPED us the treadmill! Sweet. Husband and his Brother, though were not to thrilled about “finishing the delivery of the TM” especially given that it is placed on the second floor of our home with NARROW steps. Oh well. All’s well that ends well, right? And I think it is an absolute necessity for me, as I do belong to a gym, but because of my crazy shenanagans post-workout (above) and during workout (I belt out my playlist BIG time, like so big time that I have had neighbors comment. Awesome). Anyway, the gym I belong to in Philadelphia is called the Sporting Club at the Bellevue. It is very fancy shmancy! It has a lot of great features. 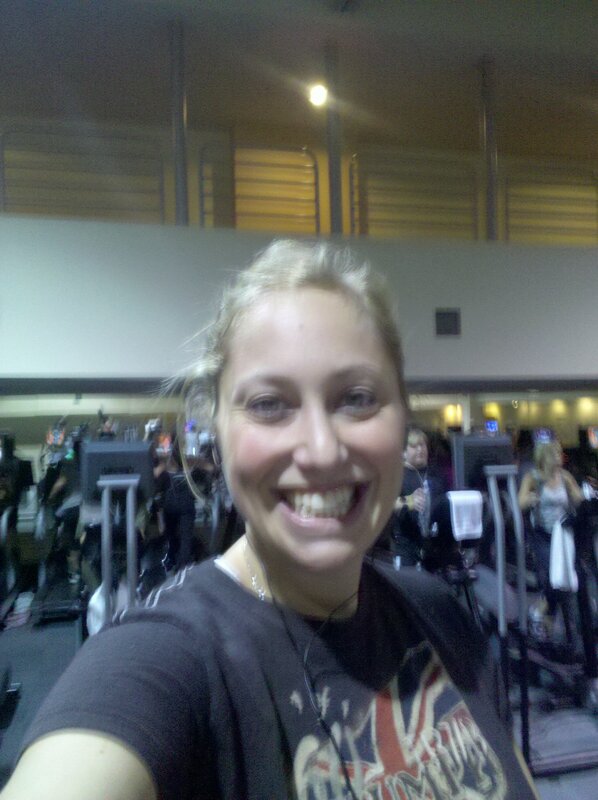 My favorites are the fitness floor which has soooo many cardio machines it is INSANE! And all of the cardio machines have personal TVs, but even better, really cool programs where you can race the person next to you, etc. It’s a shame that I am definitely a gym loner. I’m not into exercizing with people. If I need motivation for a race or something, like I am GOING to do with Lins at some point, then it’s great but day-to-day, I use it as “me time.” Anyway the other cool thing is that if you look up from the fitness floor, you can observe what’s going on at the indoor track they have which is one level up, or look down to the basketball courts, one level down. The bball court is SO great that apparently the NBA uses it when teams come into town to get their butts beaten by the Sixers practice. I feel like my description of the gym was confusing becuase the place is kinda confusing itself. You can see a map of the entire 93,000 square foot craziness here. Here I am in all of my gym glory! Another GREAT feature of my gym is the Yoga room. It actually looks and feels like a REAL yoga studio! It is beautiful and fun to practice in! 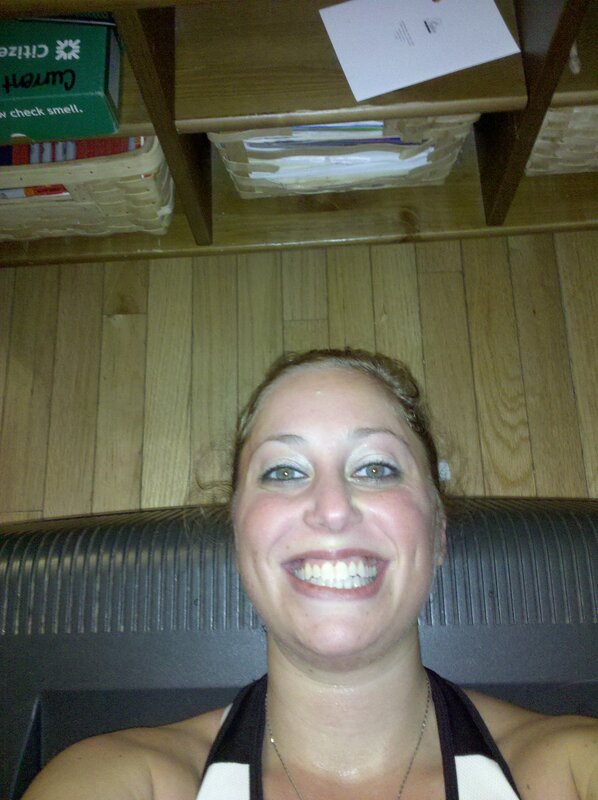 My favorite Yoga instructor at “the Club” is Jessica (ironically hehe). She is SUCH a wonderful person and has such a great energy and sequences well. My only critique to her would be to throw in some more vinyasas! hehee I throw them in myself sometimes but feel rude, like I am messing with her sequence. Anyway, Jessica is great. I also have my eye on the pilates room. There are like a hundred reformer machines in there, but they kinda look like torture devices. (surprise surprise, right) while finishing this post up. Guilty as charged, but yummy as heck! Funny that on the way to work, I was jonesin’ for some so I bought a “big bag” but when I ripped those babies out at snack time and got a glimpse at the cal count, I put those right back in my bag. 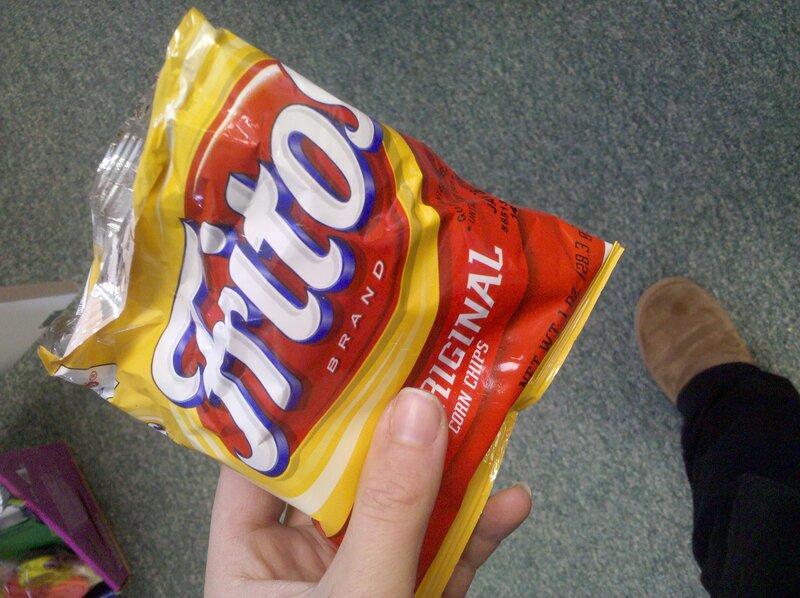 It’s fun size Fritos only for me! And as I am finishing this post, I am realizing that I didn’t mention how the “lil girl is growing up.” Basically, I have been suffering from some SERIOUS left shoulder pain. It is AWFUL. After a month of pain, I finally called my GP who told me I need an orthopedist/sports medicine DR, as I told her about some of my other sports-related injury/issues. Aside from the shoulder issue (which I fear is burcitis) I have awful shin splints at time that are due to my one leg being WAY longer than the other. I know, cute. Anyway, I am not going to go to a “big girl” doctor to get these issues resolved 🙂 I am going to the famous 3Bs (Booth Bartolozzi and Balderston Penn Orthopedics ) next Wednesday and will let you know how it goes!